Tech News - Chromium Microsoft Edge Browser to Feature a Native Translation Engine | Team OS : Your Only Destination To Custom OS !! The new Chromium-based Microsoft Edge browser is expected to get native translation that would allow the app to automatically translate websites in foreign languages. As discovered by a number of Reddit users, Microsoft has quietly enabled a new feature in Edge Canary that brings a Microsoft Translator icon right to the address bar. 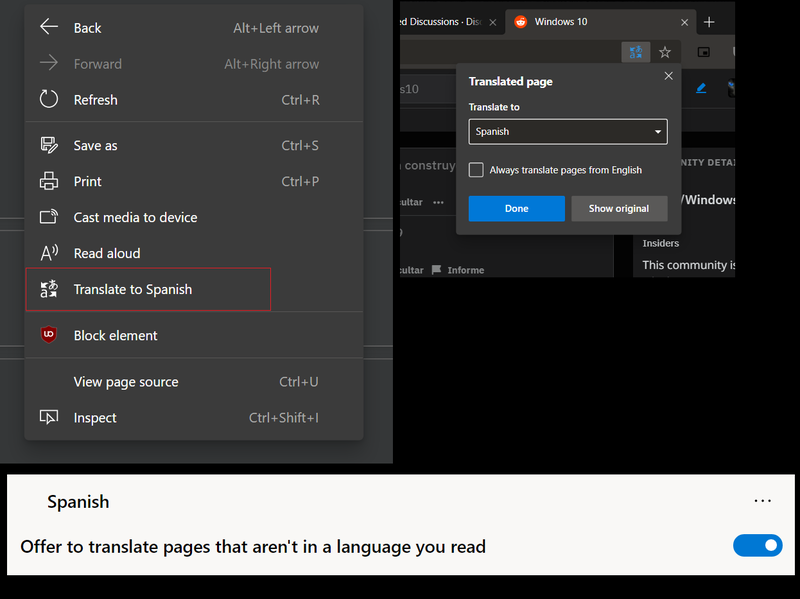 Whenever the browser loads a website that is in a different language than the one set on the system, Microsoft Edge can automatically translate it. The feature works similarly to the translation engine in Google Chrome, and right now, it looks like Microsoft is just conducting an experiment with a limited number of devices. There’s also a new option on these systems which allows the browser to “offer to translate pages that aren’t in a language you read.” This notification shows up when loading websites in a different language. Clicking the address bar Microsoft Translator icon lets you choose the language to translate the website to, but also to “Always translate pages from” a specific language. Like in Google Chrome, you can toggle between the original website and the translated version. For the time being, it seems the feature is only available in the Canary version of the new Microsoft Edge. This particular release receives updates every day, so there’s a high chance the translation option is still in its early development stages, albeit there’s no doubt that Microsoft would add it at a later time to the stable version of the browser too. Not a bad read @icloudsr !